High above the smog and away from the bustle of city life lies a small mountain resort village named Julian. This quaint village has an elevation of 4280 feet. The discovery and mining of gold literally put Julian on the map in 1870. 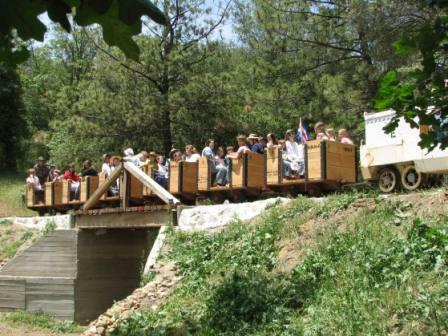 The gold era is over, but you can trace the town’s history with a tour through the Eagle Gold Mine and Pioneer’s Museum. Julian was also found to be an ideal location for growing apples and pears. Today, orchards compliment pastoral oak and pine-covered hills. Apple pie is Julian’s claim to fame now, and the fragrance of baking in the village will almost certainly cause you to stop in a pie shop for samples and purchases, along with fresh cider to take back home. Fabulous little shops line all the streets, so browsing the afternoon away will be easy. You will find specialty shops with candles, artwork, food, knitting, books, cards, and antiques. We guarantee you won’t be bored as a shopper. Mom’s Pie House is a full service one of-a-kind pie shop in the center of Julian on Main Street. The daily aroma of fresh pies baking in the ovens wafts through the air and is guaranteed to make your mouth water in anticipation . All of their pies are made fresh daily, by skilled bakers using only the finest fruit and purest ingredients available. Mom’s Pie House has two locations with the other just 3 miles West of Julian in Wynola on Highway 78. So if the line is long and your nose and stomach just can’t wait, visit their Wynola location for a great alternative. The season for local Julian Apples is over, but you can still find excellent pies at the Julian Pie Company at the far end of Main Street. If you plan on getting pies, call in your order ahead of time to avoid any disappointment if all your favorites are sold out. For those of you wanting to save money, bring paper plates, a sharp knife, forks and napkins. Buy a whole pie and then cut it up yourself. This will save $5.75 if you bought 6 slices separately. Should you run out of things to do in Julian, travel another 4 miles to Wynola. There you can find more small shops and apple growers selling their goodies. Go a little further down the hill and you’ll find the best bread in the world! 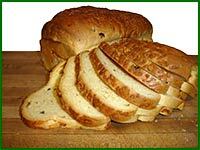 Santa Ysabel is the home of Dudley’s Bakery. Call ahead for your order or they may be sold out of your favorite variety when you get there. Adults ~ $15; Children (ages 3-12) ~ $12; Ages 2 & under free with paid adult. 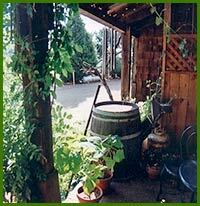 Menghini Winery, located 3 miles north of downtown Julian California, is nestled in the foothills of Volcan Mountain. Surrounded by apple orchards and a six acre vineyard, the winery produces approximately 4,000 cases of wine annually. The winery hosts an annual Grape Stomp Festival, a Starfest, a Blues Bash, and several other exciting events, so be sure to check out their website event schedule. Visitors exploring the beautiful mountain resort of Julian or the spectacular Anza Borrego Desert, are invited to stop at Orfila’s charming Tasting Room. 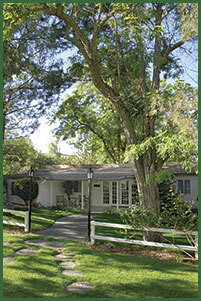 We are located within the Wynola Farms Marketplace, about two miles west of the peaceful, historic town of Julian. Our Julian Tasting Room and Gift Shop features a great selection of our award-winning wines and a vast array of gourmet delectables, including gourmet olive oils and grapeseed oils. Our Gift Shop is also noted for its collection of wine-related gifts, books, and chocolates. Large format, hand-painted wine bottles and custom labeling are available by special order. A local favorite coffee place is the Granny’s Kitchen. It is located at the opposite end of Julian by the gas station. We suggest you get a cup of your favorite fresh brewed coffee at Granny’s Kitchen and slowly sip while strolling down Main Street till you get to the Julian Pie Company. Now, buy a whole cut pie and eat a slice with the remainder of your coffee. Take the rest of the pie back to your campsite or cottage for dessert later! 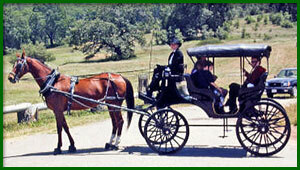 The Main Street Carriage Company provides historic 15-minute narrated tours of the downtown Julian area on a horse-drawn surrey. 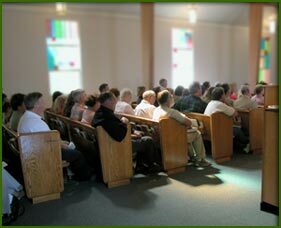 They are able to accommodate large group tours and are available for parties, outings or special events. Find the Main Street Carriage at the Corner of Main and Washington Streets. There are unlimited hiking trails throughout the Julian area. The California State and County Parks offer some good choices. 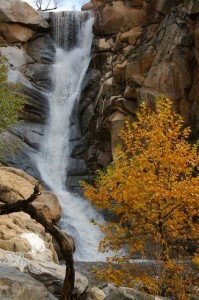 Green Valley Falls and Cuyamaca Rancho State Parks are nearby with miles of hiking trails. Contact California State Parks and Recreation for trail maps and information on trail closures. 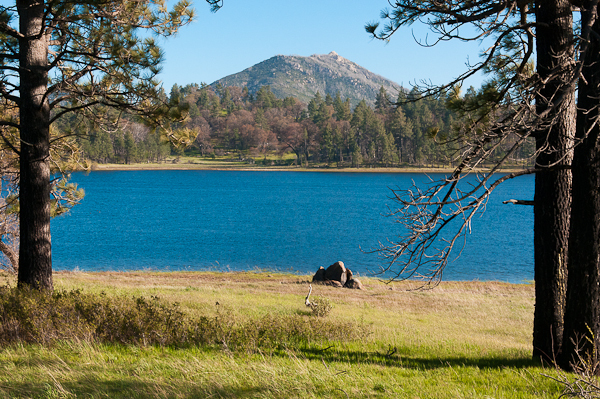 Lake Cuyamaca (only 5 miles from Pinezanita) offers a trail all the way around the lake for hiking and has a picnic area as well. 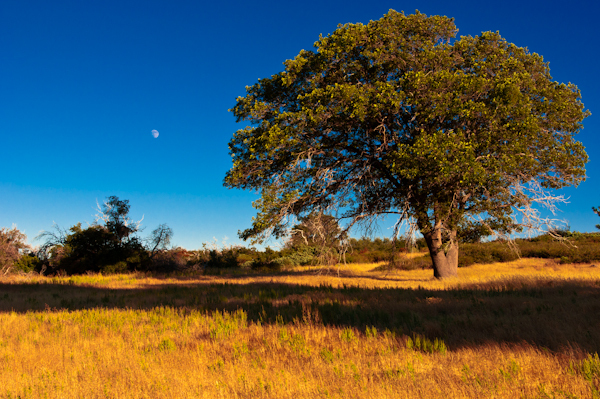 For some of the best hiking close to Pinezanita, Mount Laguna is our recommendation. Most of the mountain escaped the fires of 2003 and 2007 and offers a vast trail system. 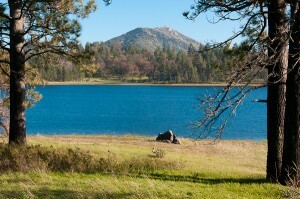 The Pacific Crest Trail can be found winding its’ way through Mount Laguna as well as many other trails. A Visitors Center can be found on top of the mountain in the small town of Mt. Laguna. Trail maps can be purchased there and don’t forget your National Forest Adventure Pass for parking in the Cleveland National Forest. If you don’t have a pass, one can be purchased from the store next to the Visitors Center. Many adventurers ask us about Cedar Creek Falls aka “Devils Punchbowl”. It is a 100 ft. waterfall flowing into a medium sized pool. Getting to the falls requires an arduous hike and PLENTY of drinking water. We will warn you that there is NO SHADE on the hike in or out to Cedar Creek Falls. It is a full day adventure and is worth the hike if you are in proper physical condition. Getting to the trailhead requires driving on Eagle Peak Road in the Pine Hills area of Julian. The road is at first paved, and turns into improved dirt for the last several miles. We suggest visiting the falls during May through June (when water flows are up from winter and spring rains) before July temperatures arrive. Depending how the fish are biting will determine the class curriculum… trout, bass, blue gill, crappie and catfish are all in the lake. So whatever is biting for the day will be talked about. Basics for fishing, bait use, lures, rigging your tackle, casting, and knot ties will get any beginner ready to catch fish at Lake Cuyamaca on your first day fishing! The Julian Bed and Breakfast Guild is a unique organization of innkeepers dedicated to providing visitors with local information and a fine selection of quality, smoke-free Julian lodging. Their members are ready to answer your questions every day, between 9AM and 9PM. 4 miles south of Julian on Highway 79 | Enter at KQ Ranch Campground & Resort | California Wolf Centeris located behind the resort. Program: Wolves of North America are presented to visitors through an outdoor walking tour, an educational talk and a comprehensive slide show. Take a short 30 minute drive and go for a massage at The Spa at Warner Springs. 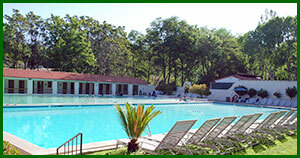 While there you can spend a few hours soaking in the mineral pool and soak up some sun. This is a great day trip and very relaxing. There is a small poolside restaurant that serves excellent health menu items. Dressing rooms, lockers, showers, towels and lounge chairs make this a must-do excursion when staying at Pinezanita. Warner Springs Ranch is a private club, so you must book a service at The Spa at Warner Springs in order to use the mineral pool. We recommend getting an early massage appointment and then spend the rest of the morning soaking in the mineral water and sunning. Dine at the poolside restaurant and then return to Pinezanita for a quiet relaxing evening. Highway 78/79 & Pine Hills Rd. Links to other web sites with useful information about Julian.